Nigeria’s ex-president, Chief Olusegun Obasanjo has revealed that the refusal of international oil companies, IOCs, to convert to power the gas they were flaring contributed to the deteriorated state of electricity in the country. According to dailypost.ng, Obasanjo lamented that rather than building power plants for Nigerians to benefit, the IOCs preferred to burn the gas because such projects did not add to their profitability. Obasanjo made this revelation at a high-level session on “Africa’s, Energy: What’s the New Deal?” at the ongoing 2016 annual meetings of African Development Bank, AfDB, in Lusaka, Zambia. “When I was president, I asked all the international oil companies producing crude oil in Nigeria not to burn gas and use it for electricity, only Agip responded and build a power plant of only three megawatts, the others ignored my call,” he said. The ex-president maintained that there was no reason why Africa should be in darkness, going by resources and the potential that the continent has to generate power. He however warned that African governments should not deprive their citizens the benefits of electricity in a bid to have an environment devoid of pollution due to power generation. “I’m an environmentalist, I will not keep environment clean at the expense of power in Africa. Without coal, industrialisation would not have been possible in Europe and other developed world. 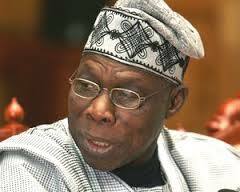 We may not use coal like in the past, but let use a mixture of what we have We have coal, gas, oil, sun, wind, fossil; let use them to get what we want,” Obasanjo added.